Life has been crazy busy lately, but I can genuinely say that I’ve never been happier. I have been eating, breathing, and creating art into the wee hours of the night every day and it has been so wonderful. I have begun to take great pride in the water color residue stained into my hands and fingernails….and carpet and shirts… whoops. And with the warm weather finally making it’s way back to my little campus on a hill, I am feeling like myself again. If anyone understands this, it is my mother.. the apple don’t fall far. Let’s move away to the tropics together, eh? I’ve been working out again, and spending time with Clint has been SUCH a blessing. All in all, as if you couldn’t tell from this rambling mumbo jumbo, I’m just very happy with where I am right now. I try to remind myself that I have to live in this time and not get to caught in what’s coming up next (after I had a panic attack this morning after thinking about all that needs to be done for this wedding of mine), because it’s so easy to live life only in retrospect. Anyways, I thought I’d post a few pictures from Valentine’s day. 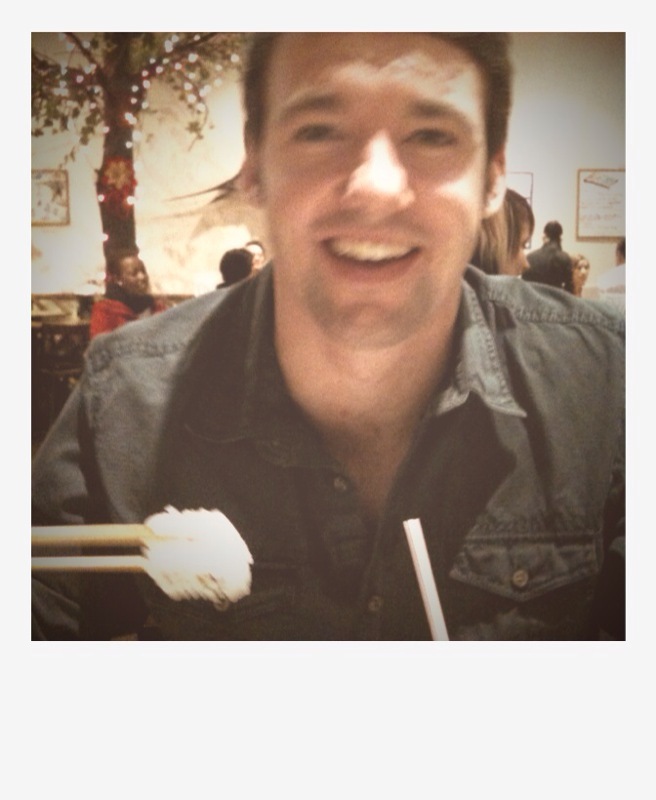 Clint surprised me and took me out to get Sushi at some nice Japanese restraunt. He hates the stuff, but he knows how much I love sushi, and he wanted to try and get some different kinds in hopes that he could find something he liked enough to open the door to future sushi dates. What a keeper, I tell ya. And don’t forget about the flowers and candy. He spoils me. 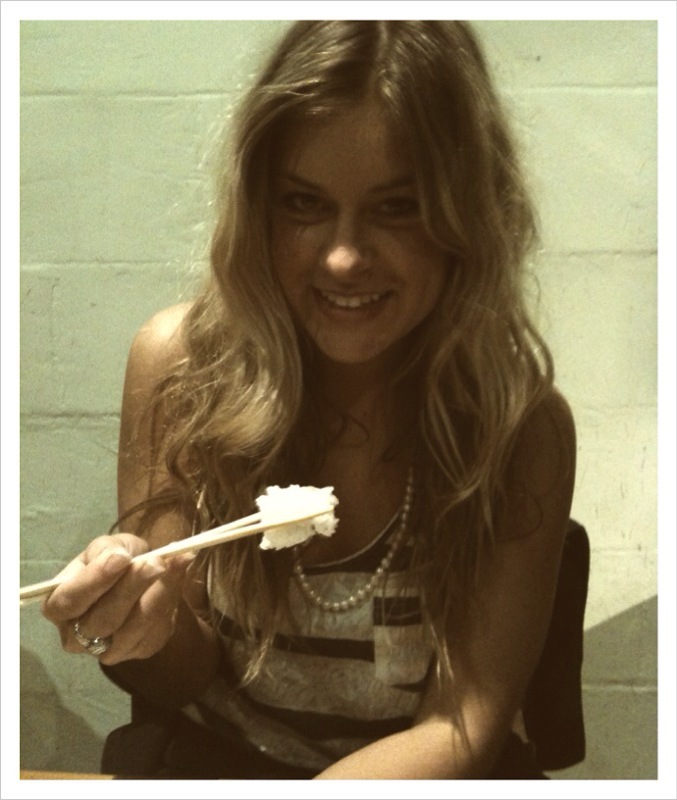 One sushi too many hahaha. 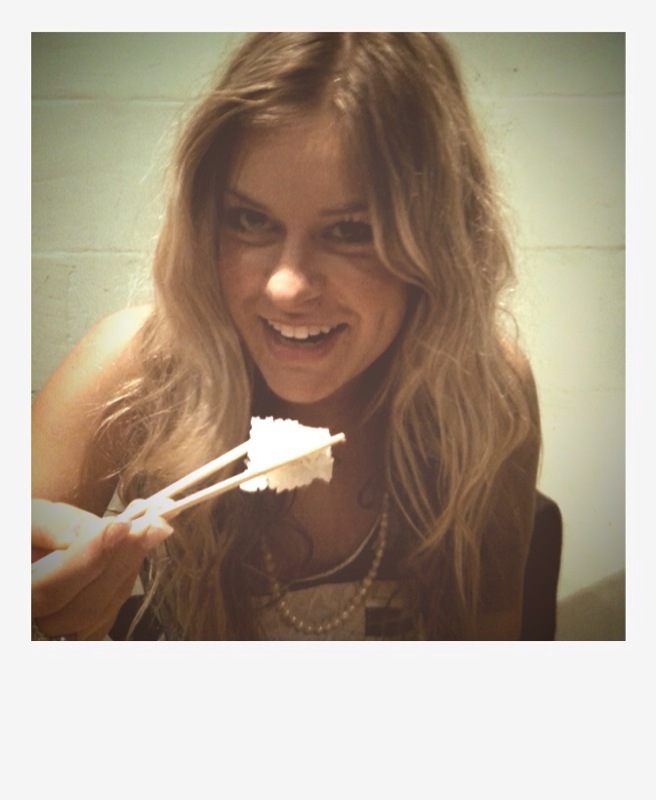 Kendall-san: Please tell me you took these photos with a camera phone… although they are adorable. Did Clint actually eat, or is he just posing for the picture? Hahaa yes, I took with with my iphone, so don’t worry. The nikon wasn’t responsible for this. 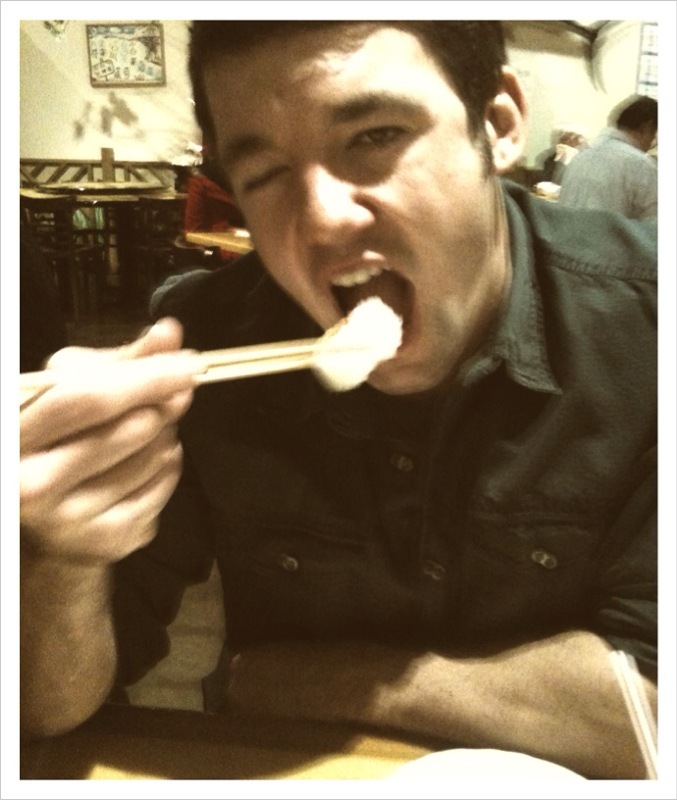 And Clint really did eat the sushi! But granted, he’s not the type of boy that would leave food on a plate he paid for, whether he liked the food or not.